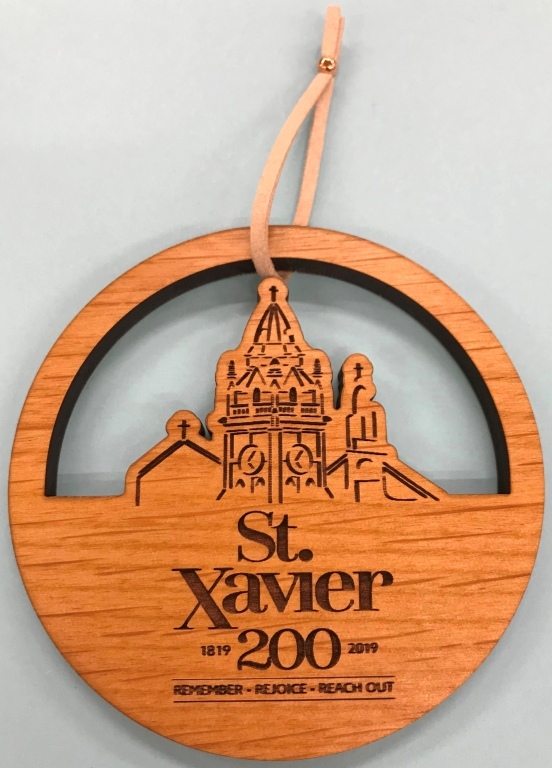 St. Xavier Church is happy to announce it will be selling memorable souvenirs to celebrate our Bicentennial year. The ornament pictured below is locally made by Lindsey Estes of Lucca Laser Workshop. 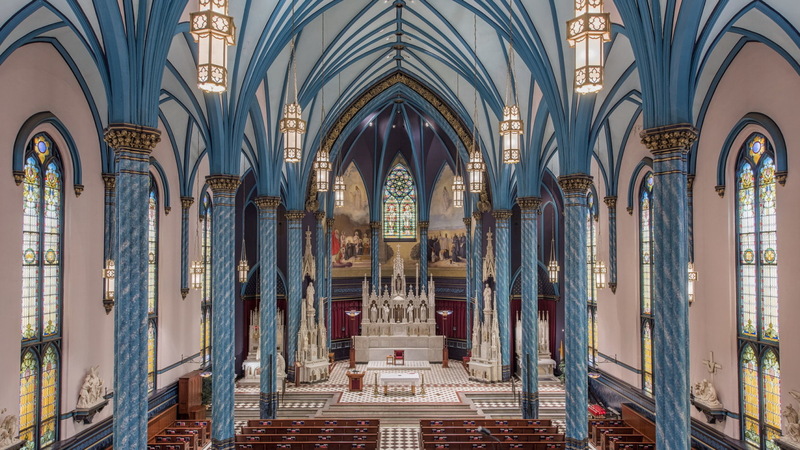 Beautifully etched in Alder wood, it depicts the three churches that have housed our parish community over our 200 year history from 1819 to 2019. The ornament contains the inscription "Remember - Rejoice - Reach Out." They are now on sale for $5 each in the parish office and during scheduled bicentennial events.